Low-rent housing projects are environments where people live together: seniors, families, young people and singles – all with different backgrounds and cultures. Inside a building, many people live side-by-side, sharing common spaces and facilities. Intergenerational and intercultural cohabitation are a major challenge for the OMHM. Harmonious coexistence requires an open mind, tolerance and communication on all sides. Respect for others–and respect for building rules–makes it easier to live together in harmony. Respect is one of the values we hold dear. Accepting differences, treating others with respect, recognizing the value of every individual and protecting the dignity of others are signs of respect for others. Everyone—tenants, employees and suppliers—is entitled to receive respect from others and expected to give it back. OMHM community relations work (community organizers, community outreach workers and social workers) involves improving living conditions in low-rent housing, supporting the personal and group empowerment of tenants, and fostering cohabitation among tenants and with the neighbourhood. Other OMHM employees, including rental agents and tenant relations assistants, help keep relations among tenants on an even keel. The OMHM works to develop a network centred on living environments. In this way, it can be sure that low-rent housing tenants stay properly connected to the resources they need to live fully as citizens despite any challenges they face. 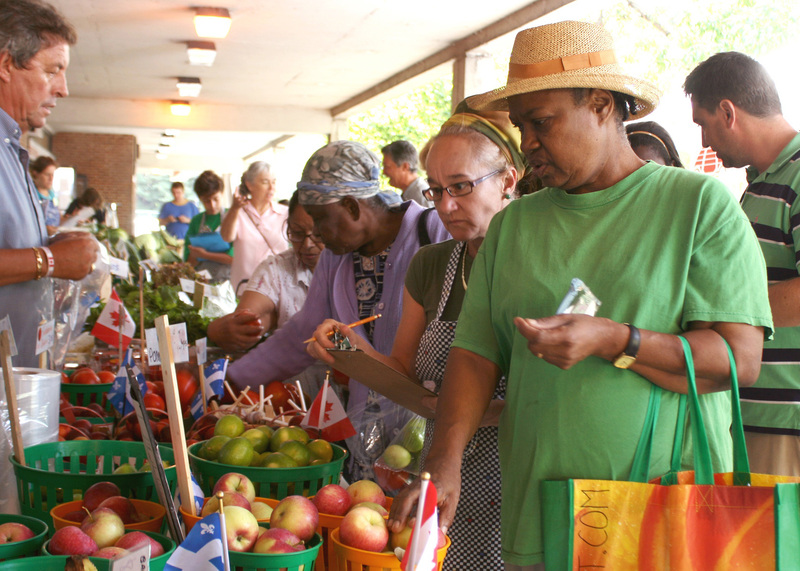 Social diversity is a feature of many Montréal neighbourhoods and boroughs. The OMHM has contributed to this social diversity by building a number of housing projects in residential complexes where low-rent housing projects exist alongside housing cooperatives, condominiums and others. Another important element of this social diversity is the varied population living inside the low-rent housing project itself. Sometimes, diversity can cause tension, for example, between low-income residents of low-rent housing projects and their wealthier neighbours, between young and old, and between ethnocultural groups. Certain kinds of intervention can reduce this tension. Becoming more familiar with the environment and neighbours by participating in building activities helps promote harmonious cohabitation. The project "Habiter la mixité," funded through an agreement between the City of Montreal and the ministère de l’Immigration, de la Diversité et de l’Inclusion, is a concrete example of action centred on living environments. The project helps bridge the intercultural gap and foster cohabitation and inclusiveness among residents of the many low-rent housing projects in Montréal. The stress of poverty affects wellbeing and mental health. In Canada, one out of five individuals will experience an episode of altered mental health in their lifetime. The presence of persons with mental health problems has followed the various waves of deinstitutionalization in recent years.